Semper anticus, meaning ever forward, is the motto of the 45th Infantry Brigade Combat Team (IBCT) of the Oklahoma Army National Guard. It is a most fitting slogan for this heroic brigade with a historic and meritorious lineage. The various units and formations of the 45th have continued to advance against the Nation’s enemies from the time of the battles on the beaches of Anzio, Italy, during World War II, to the ongoing combat in the deserts of Afghanistan today. The stories of its Soldiers span the history of this great Nation and represent the changing tides that have come and gone. 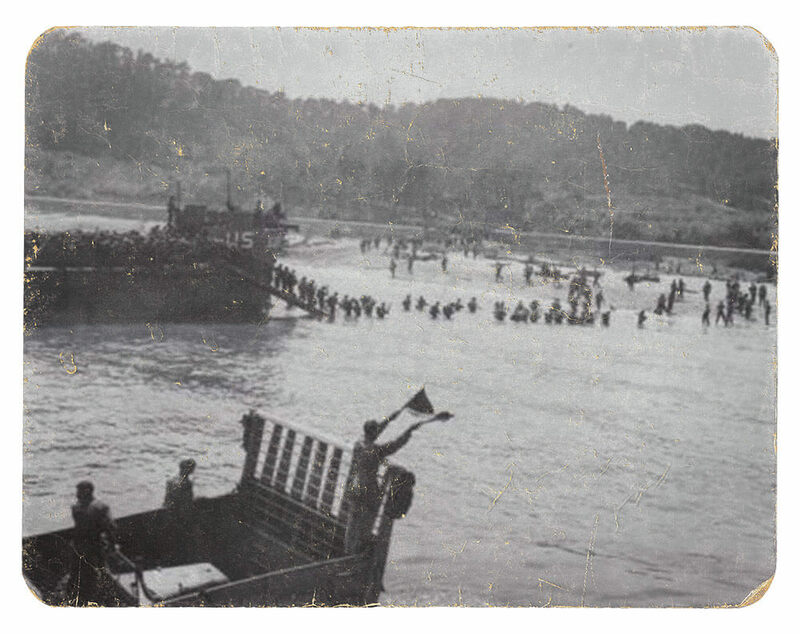 Oren L. Peters, a former member of what was then the 45th Infantry Division, recalls his story on the bombed-out beachhead of Anzio in early 1944. The 45th was stopped for a time by the Nazis. For the first half of that year, the Germans were fighting stubbornly to prevent the Allies from taking Rome. It was during that protracted battle that Peters won his Silver Star. The Guard Soldier, with the HQ Company of the 45th, had recently been busted down to a private. He had worked his way up to sergeant after enlisting in 1938, but Peters had said the wrong thing to the wrong officer and was no longer an NCO. “I had a problem with majors,” he remembered. He wouldn’t remain a private for long. 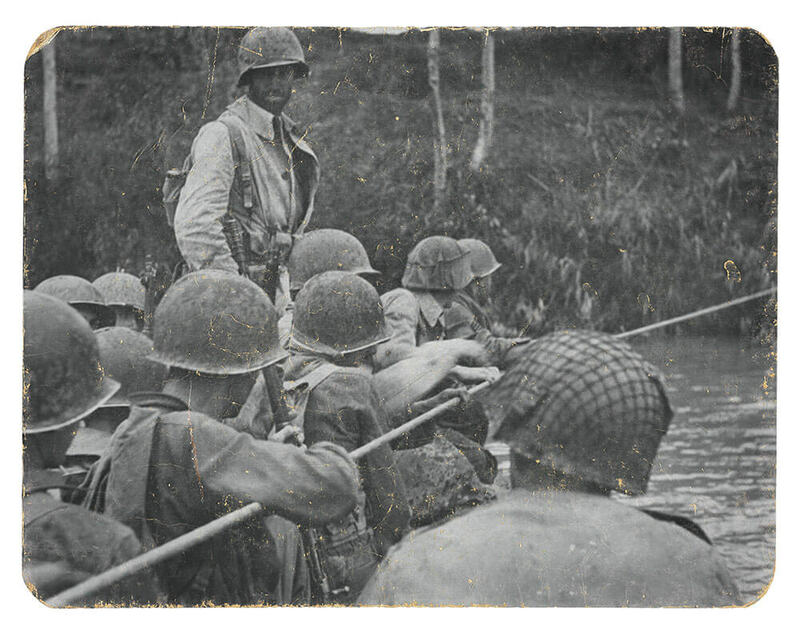 His actions in Anzio brought him much attention – this time in a good way. That fateful day in 1944, Peters – now 97 – was given a solo mission to trace and repair the point along a phone line where it had been cut. He set out with no expectation of action, but it was war and action was never far. It took him some time, but he moved slowly down the line. That’s when he found himself among some rather unpleasant company. Several tanks appeared before him – German Tigers, which were twice the size and weight of America’s Shermans. They were a significant threat, but the then-private didn’t shy away. Somehow Peters lived to tell the tale. That was his last tangle with Tigers. The Army also offered Peters a battlefield commission, but he declined, preferring to use the points he accumulated with the action to go back home to the States. Back then, the Army had a points system to determine when Soldiers were eligible to be relieved of combat duties. Just three years later, in 1947, Peters rejoined the Oklahoma Guard and eventually rose to the rank of lieutenant colonel. The war ended soon after Peters’ act of valor, but not before it had taken its toll of sacrifice from the 45th. According to the U.S. Army Center of Military History, the division incurred 10,192 total combat casualties – 1,510 killed, 7,246 wounded and 1,436 missing. Nine Soldiers from the 45th Infantry Division were awarded the Congressional Medal of Honor. The 45th was called to combat again during the Korean War. Its Soldiers served heroically in combat for over a year, fighting in four campaigns. Another Medal of Honor recipient was added to the ranks during the Korean War. PFC Charles George, a full-blooded Cherokee Indian, was a member of a raiding party assigned to capture a prisoner for interrogation. After engaging the enemy in hand-to-hand combat, PFC George, while covering his unit’s withdrawal, fell on a grenade, sacrificing himself to save his fellow Soldiers. He was just one of the 792 Soldiers of the 45th killed in action during the Korean War. A total of 3,166 of the division’s Soldiers were wounded. Valor has been a hallmark of Oklahoma’s Army National Guard – not only since the formation of the 45th Infantry Division in 1923, but also since the time Oklahoma was still a Territory and first instituted its National Guard in 1890. Some of its members fought with Teddy Roosevelt’s Rough Riders during the Spanish American War. Gonzalez spoke from the division museum, which he said is the largest State-funded National Guard Museum in the country. The museum features an extensive collection including what’s billed as one of this country’s largest collection of military firearms, 200 original Bill Mauldin cartoons (Mauldin was a Pulitzer Prize-winning cartoonist most known for his WWII cartoons of American Soldiers), a robust group of vintage military vehicles and a mirror that may have reflected the defeated face of Hitler moments before he committed suicide in his Berlin Bunker. Gonzalez is a veteran of the 45th himself. He was in the unit after 1968, when the 45th Infantry Division was disbanded and reorganized into the 45th Infantry Brigade. (Some of the division’s assets were also formed into the 45th Field Artillery Brigade and the 90th Troop Command.) The 45th Infantry Brigade received all of the 45th Infantry Division’s lineage and heraldry, including its shoulder sleeve insignia and nickname, Thunderbirds. Gonzalez was assigned to one of the nine units under the 45th Infantry Brigade. “I commanded one of the companies of the 180th Infantry Regiment. That was a wonderful experience – some of the best NCOs I ever worked with. The units of the 45th Infantry Brigade saw no action in Vietnam – the size of the active duty component negated the need for National Guard activations. Then in 2000, it was once again called to active duty. 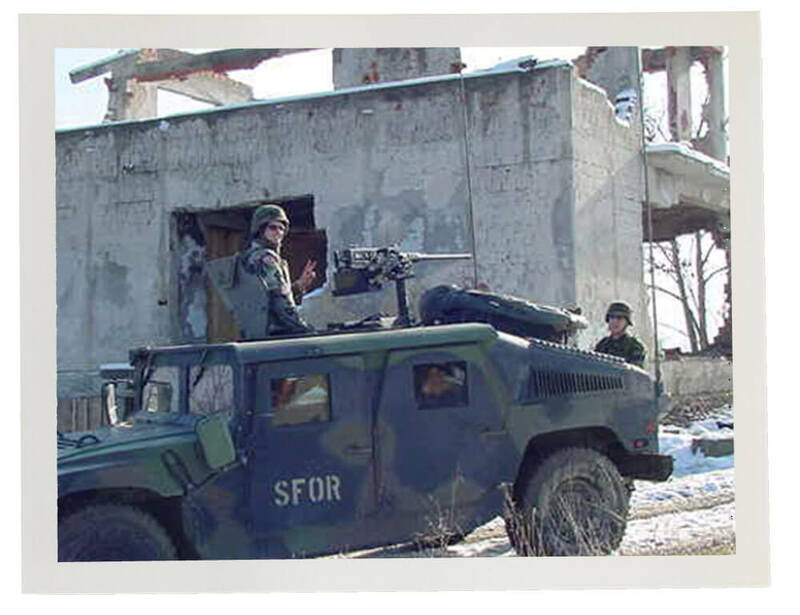 Several hundred Soldiers of the brigade were deployed to Bosnia in support of NATO forces working to stabilize the country in the aftermath of the Bosnian War. The brigade was among the first of National Guard units to see front-line patrolling duty after the end of the conflict. In early 2003, components of the 45th began fighting early in the Global War on Terror (GWOT). Its Soldiers deployed to Saudi Arabia and Kuwait to serve as part of Task Force Ironhorse in the lead-up to the invasion of Iraq. In the fall of that same year, the brigade was deployed to Afghanistan in support of Operation Enduring Freedom. Soldiers spent the next year deployed serving in that mission. Present day, the 45th – now the 45th IBCT after a transition as part of a major reorganization of the Army – continues to fight in the GWOT, having served in Operations Iraqi Freedom and New Dawn. As in missions of earlier years, Soldiers of the 45th have made the ultimate sacrifice in recent deployments. 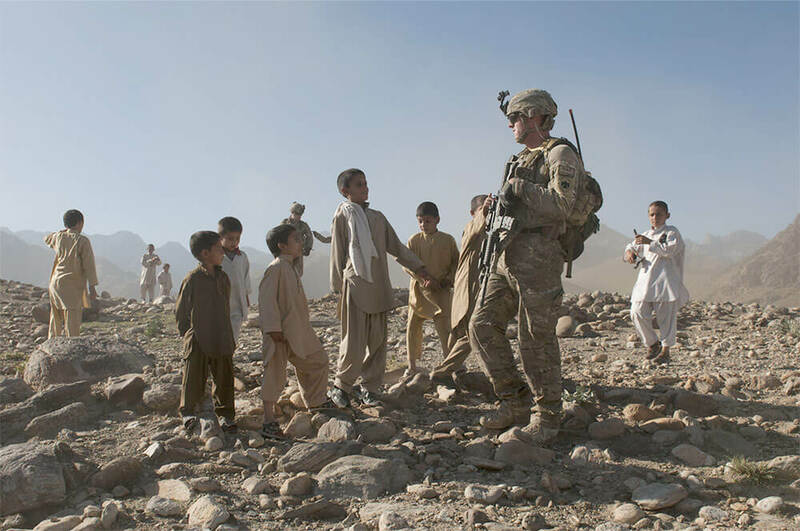 During its 2011–2012 deployment to Afghanistan, the 45th lost over a dozen Soldiers. To date, 19 Soldiers of the 45th have made the ultimate sacrifice since the time of the September 11 attacks. 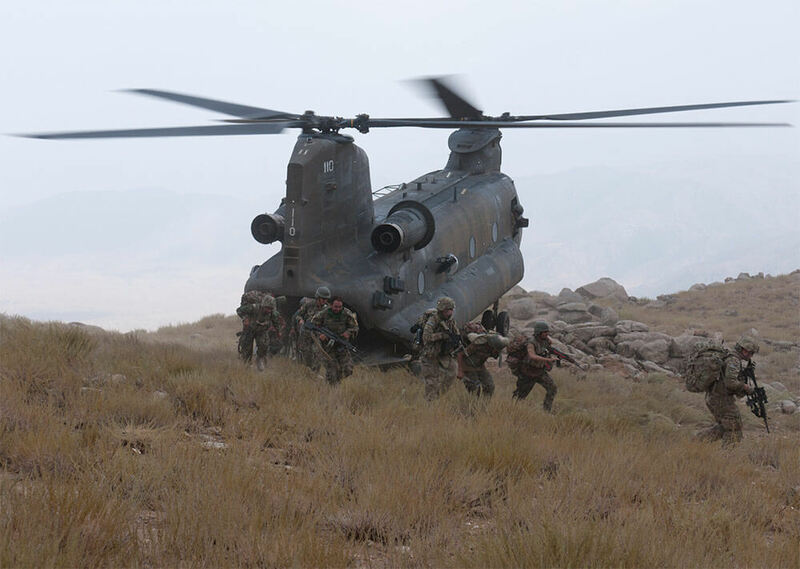 In late February of this year, components of the 45th IBCT were again deployed to Kabul, Afghanistan, in support of NATO-led Operation Resolute Support. Soldiers of the 1st Squadron, 180th Cavalry Regiment, were assigned to test and analyze possible vulnerabilities of new anti-drone technology. These Army National Guard Soldiers are ever ready to serve their Nation, State and communities. In the face of great danger, the men and woman of the 45th can find reward in serving, especially in the bonds they have forged with one another. “When you go to war with someone, it’s a different kind of relationship. It’s a different kind of friendship that’s made. There’s a forever bond that only you guys understand. These bonds are unbreakable,” reflected CW3 Tidaback. In October of last year, the entire Oklahoma National Guard was inducted into the State’s Military Hall of Fame. Gonzalez said he was delighted when the Oklahoma Guard was inducted into the Hall of Fame. Looking back at the units of the 45th, one can see the pattern of sacrifice and the tradition of service. Soldiers like LTC Peters paved the way. Soldiers like SFC Roberson and CW3 Tidaback march onward.